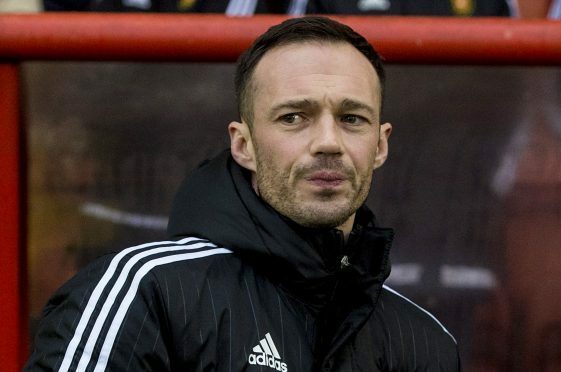 East Fife manager Darren Young comes across his former club Albion Rovers for the first time since the Coatbridge opted not to extend his contract today. And the Bayview boss is harbouring no ill-will. Young explained: “I am looking forward to facing the Rovers at Bayview. I won a league title there and came close to a promotion play-off place in the two seasons that followed that. Albion sit third in the table having won all four of their matches on the road this season and defeating Raith Rovers at home a fortnight ago. One of the reasons for their blistering form has been the goalscoring prowess of former Brechin midfielder Alan Trouten who has scored 14 times. Young said: “I read this week that in the top 22 leagues in Europe Albion Rovers are the highest goalscorers away from home. Alan is on fire just now and that is no surprise to me as I tried to bring him here but lost out as Coatbridge is closer to home. Skipper Kevin Smith is set to be involved for the first time in this campaign and Kyle Wilkie is available after illness, however Jonathan Page is suspended.